Texte : Trade & Navigation 1814. Pure Copper Preferable to Paper - One Penny Token. Texte : Trade & Navigation 1838. 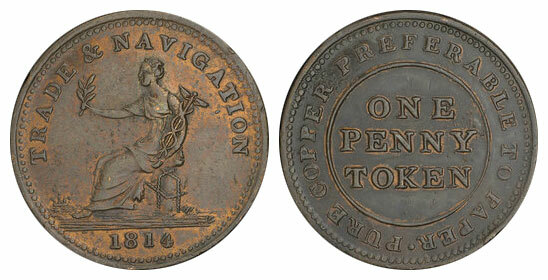 Pure Copper Preferable to Paper - One Penny Token.